In 2013, Kushner Companies, in partnership with RFR and LIVWRK, acquired five properties in Dumbo from Jehovah’s Witnesses for $373 million. The layout totaled 1.2 million square feet. 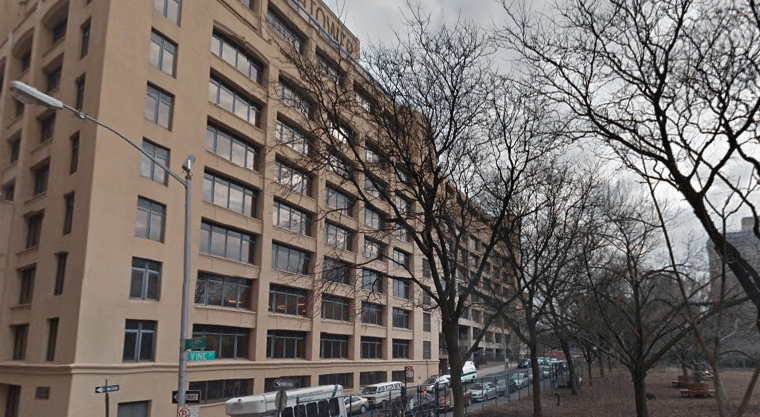 The New York Post reported a purchase from the same group is underway for the Jehovah’s Witnesses at 25-30 Columbia Heights. In addition, Kushner, RFR and LIVWRK want an as-of-right development site at 85 Jay St. with 1.1-million square feet of ground space. The Jehovah's Witnesses released a statement saying the move was prompted by a change in printing and shipping for Bible-based literature from Brooklyn to Wallkill, New York. For the second time in three years, the Jehovah’s Witnesses are reportedly working with a group of investors lead by Jared Kushner, Donald Trump’s son-in-law, to unload prime commercial space in Downtown Brooklyn and Dumbo. One piece is the religious organization’s 733,000 square foot headquarters, known locally as the Watchtower. In 2013, Kushner Companies acquired five properties in Dumbo from Jehovah’s Witnesses. The completed 960,000 square foot industrial/manufacturing complex cost $100 million to convert into class “A” creative office and retail space, primarily focused on food and retail, with sky bridges connecting the five buildings. Right now, the companies are leasing to WeWork and Etsy, among others. The New York Post reported a purchase from the same group is underway for the Jehovah’s Witnesses at 25-30 Columbia Heights. In addition, Kushner, RFR and LIVWRK want an as-of-right development site at 85 Jay St. with 1.1-million square feet of ground space. The three real estate groups did not respond to requests for comment. According to the report, Bob Knakal of Cushman & Wakefield is facilitating the sale for Jehovah’s Witnesses, who are moving the headquarters to Warwick in a plot purchased in July 2009. The new location is 50 miles from Brooklyn, where the religious organization has been since 1909. The Jehovah’s Witnesses released a statement saying the move was prompted by a change in printing and shipping for Bible-based literature from Brooklyn to Wallkill, New York. In addition, cost in Brooklyn has skyrocketed in recent years, and relocating can help the group allocate its funds more efficiently. Contracts between the parties are currently unsigned, and local bidders L&L Holding, East End Capital, Equity One and Vornado Realty Trust all apparently have shown interest in the sale. Knackal’s representative said he was unable to comment on the Jehovah’s Witnesses’ properties. In addition to the two properties for $700 million, the Jehovah’s Witnesses recently listed a seven-story apartment complex at 107 Columbia Heights, according to the Commercial Observer. The latest listing includes a private rooftop terrace with “prime views” and a large auditorium. The property was built it 1959 and renovated in 2007, according to marketing documents.